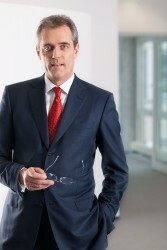 The Supervisory Board of OMV appointed Rainer Seele (54) as the new Chairman of the Executive Board and CEO of OMV. Rainer Seele has accepted the appointment. He will assume the position effective July 1, 2015 for a three-year period, with an extension option for OMV for further two years. The current Chairman of the Executive Board and CEO Gerhard Roiss will resign from his position on June 30, 2015 as previously announced. This article includes a total of 437 words.